Learn PHP 7 This Way to Rise Above & Beyond Competition! This course is based on php manual! We cover namespaces, operators, types, variables, functions, OOP and many more! WARNING! This course is based on PHP.NET documentation with a lot of explicit reading of the manual. However manual doesnt explain everything, so a LOT of additional explanations and examples are added throughout the course (please see free preview videos). That said, if this is kind of knowledge you are looking for, please very warm welcome on board!P.S. if you like this course all we ask is to support it with your review. Thank you and good luck with conquering PHP!!! PHP Getting Started - this is a "high altitude" introduction to PHP usage. It answers such questions as what is PHP and what can PHP do. Also a simple PHP tutorial is provided, which will show you how to create your first PHP-enabled page! Great for absolute PHP beginners! PHP Basic Syntax Explained - this is PHP for beginners. Here we explain the basics, such as what PHP tags are (and how to embed PHP code in HTML documents) and how to use comments in your code. PHP Types Explained - this module covers all PHP types: scalar types (boolean, integer, float, string), compound types (array, object) and special types (resource, NULL) - all in great detail, with a lot of examples! PHP Variables Explained - in this module we cover variables: from basics to such concepts as variable scope, static variables and variable variables. This module covers everything you need to know about variables in PHP! PHP Constants - here we explain a very useful concept - constant. In programming world constants are used everywhere! We explain what constant is and how to use it in PHP. PHP Expressions - expressions are the most important building stones of PHP. In PHP, almost anything you write is an expression. 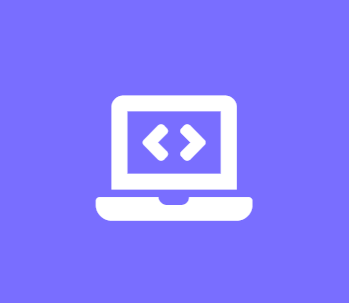 In reality only few developers really understand what expression is, but after completing this module you will be one of them and expressions will be totally obvious for you, which will make your programming experience much easier! PHP Operators - an operator is something that takes one or more values and yields another value. This is a very important part of any programmin language! All PHP operators (arithmetic, assignment, bitwise, comparison and all other operators) are covered in detail in this module! PHP Control structures - we cover all PHP control structures here. You will learn famous "if", "else", "while", "for", "foreach", "switch", "return", "require" and many more! A LOT of examples are provided to make sure you fully understand the concept! PHP Functions - This module is a GEM! It contains everything you need to know about functions, starting from what function is and why should you use it to such PHP constructs as anonymous functions and closures! Also latest PHP 7 type hinting is fully covered! As in all other modules - thorough examples are provided! After finishing this module you will clearly understand all possible kinds of functions used in PHP! PHP Classes & Objects - any modern PHP framework extensively uses object-oriented programming (OOP). The goal of this module is to get you ready to dive into any PHP OOP project imaginable! Everything from basics (what is class, object, interface, abstract class and many more) to advanced techniques such as traits and late static bindings is explained in detail. This module alone is a course within a course and it WILL make you a PHP OOP expert! PHP Namespaces Explained - this module covers every single namespaces concept and it will make you a namespaces EXPERT! PHP Errors Explained - this module will introduce you to errors processing in PHP. It also contains detailed information on errors processing in PHP 7. PHP Error Handling and Logging - this module contains in-depth information on what error handling is, how it works and how to use it in PHP 5 & 7. PHP Exceptions - this module will make you comfortable with exceptions usage. Everything you need to know about exceptions (both in PHP 5 & 7) is covered in this module (including predefined and SPL exceptions). PHP Generators - if you dont know what generators are, dont worry. This module contains EVERYTHING you need to know about generators and how to use them! PHP Predefined Variables - In this module you will learn famous GET & POST and what is the difference between them. We also explain here what HTTP is and how it works. This is the glue between web and PHP! After finishing this module you will have a clear picture and great understanding of what happens right after you type web sites address into your browsers address bar and hit enter! You will see how data is exchanged between client (your browser) and server, and what role PHP plays in this process! PHP References Explained - PHP references demystified! This module explains what references are and what references do. It also explains how to pass by reference, return by reference and what is the difference between assign by value vs. assign by reference. You will learn such concepts as zval container, symbol table, will learn how PHP manages memory and will understand how exactly variable scope works in PHP. After finishing this module you will have a clear picture of what references are in PHP! PHP Garbage Collection Explained - this module explains what is garbage collection in PHP and how it works! PHP Features - this module will introduce you to such famous (and very important for every web developer) concepts as cookies and sessions! You will learn what they are and when to use them. Also this module covers everything you need to know to upload files using HTML forms and PHP. PHP Session handling - every web developer must know how to work with sessions! 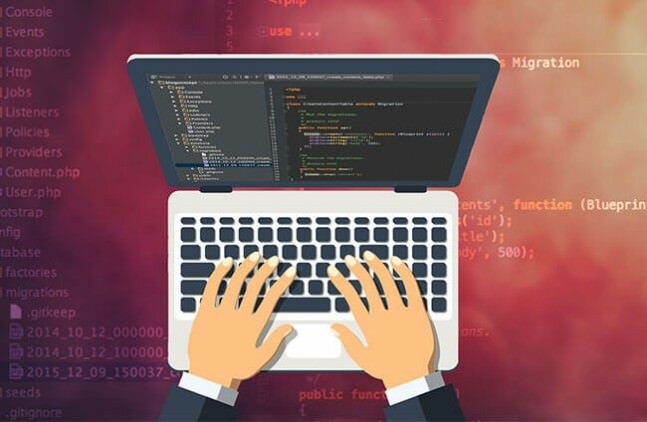 After finishing this module you will have the best possible understanding of what session is and how to use it in PHP. Every single aspect of session usage is covered in great detail with a lot of in-depth examples!PHP PDO (PHP Data Objects) - PDO will make your interactions with database much easier and safer! This is a full coverage of PDO abstraction layer with tons of examples! Every single PDO function is covered! Migrating from PHP 5.6.x to PHP 7.0.x - this module contains all you need to know to migrate from PHP 5 to PHP 7!